Our warm and inviting facility is a great place to escape for your company offsite. While experiencing fantastic food and soaking up the stunning view, you will get more work done than you ever thought possible. 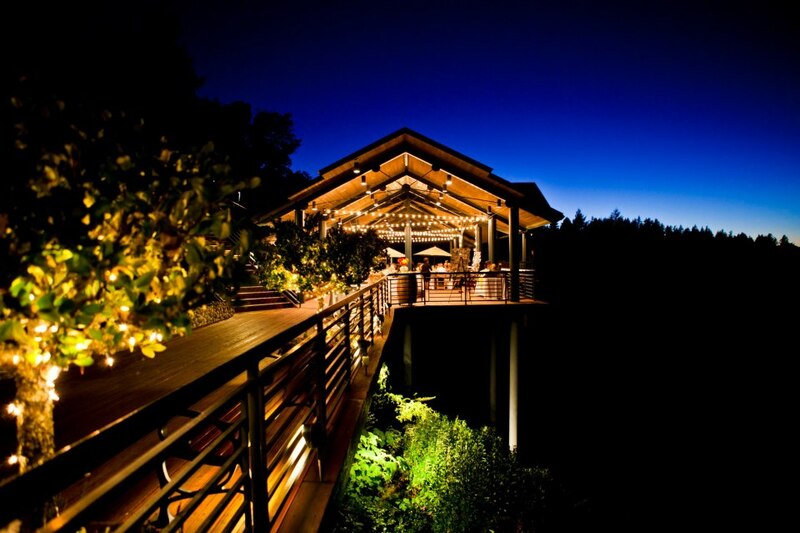 Thomas Fogarty Winery is one of the Peninsula’s premiere event locations. Known for its award winning wines, Thomas Fogarty Winery is an intimate, elegant and relaxing setting reserved for memorable occasions. The experienced and attentive Event Coordinators at Thomas Fogarty invite you to view the facility and experience first hand why this is the best venue for your next company event. 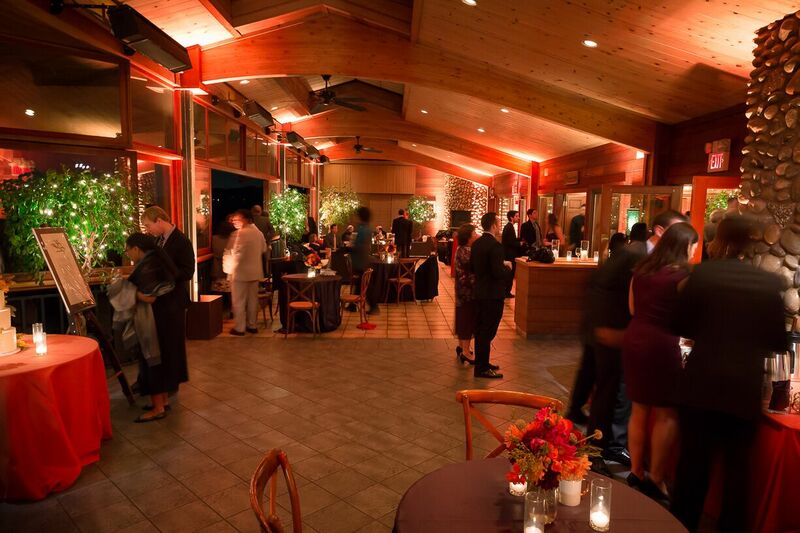 The Redwood Room accommodates up to 40 guests, is equipped with a full kitchen, hand-crafted wine barrel tables and bar area, outdoor patio area for wine tasting and appetizers, and a fireplace to make this intimate event space even more warm and cozy. The Hill House has a glass-enclosed Terrace which holds up to 150 guests for dining, and connected by glass doors, the inner Hill House holds up to 70 guests. 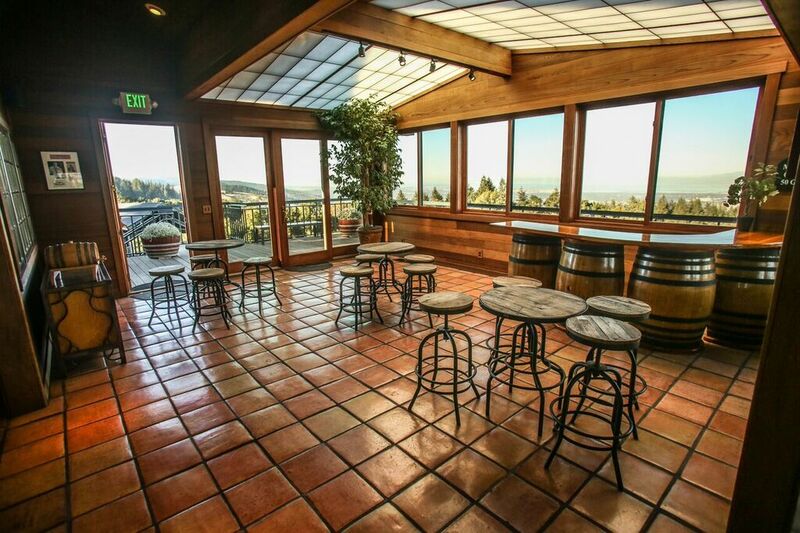 The inner Hill House can be used as a dance floor and has a built-in bar for wine tasting, while the Terrace is a perfect place to dine with a stunning view of the Bay Area. The Pavillion is a covered deck overlooking our Chardonnay vineyard which holds up to 216 guests. It is perfect for an elegant dining experience or a spacious wine hour to mingle with friends and colleagues. 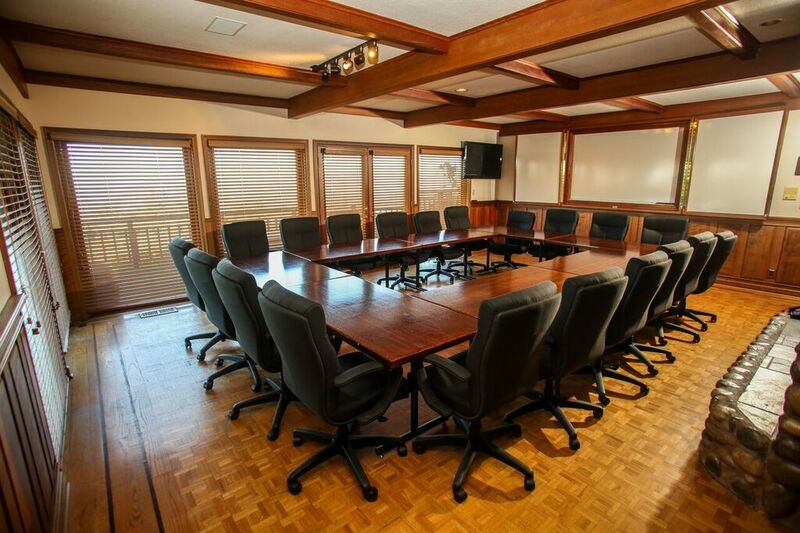 The Conference Room accommodates up to 20 guests, with black executive leather chairs, double-sided fireplace, screen, flipcharts, whiteboard, TV/DVD, and wireless internet access. When your team needs a break from business, they can step outside onto the deck overlooking our breathtaking view of the Bay Area or step into the connecting room with a pool table and bar area for wine tasting. 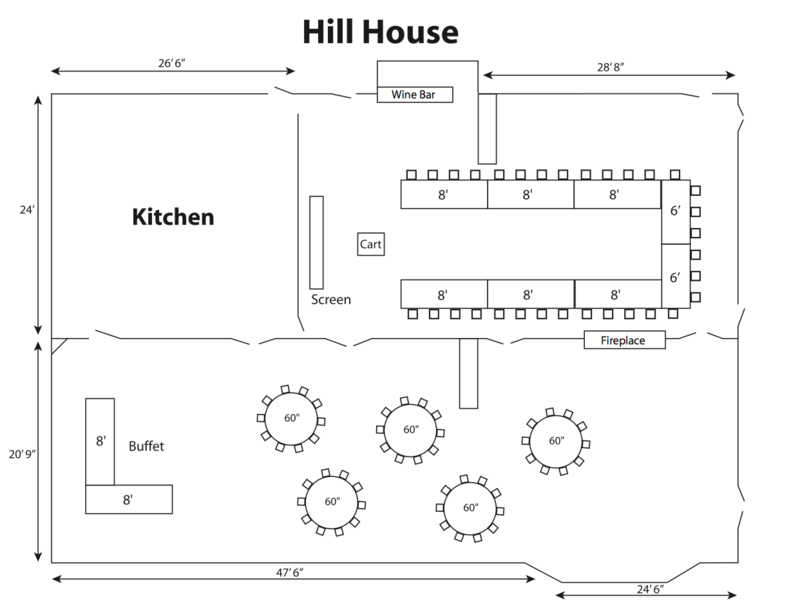 The Hill House accommodates up to 90 guests for a meeting. There are two rooms that provide both secluded meeting space and separate dining and breakout area with a breathtaking view. Includes: screen, flipcharts, wireless internet access, and podium. Additional fee: Use of microphones connected to our in-house audio system. Have you planned your holiday party yet? Do you want to impress your team with the most beautiful view in Northern California? Whether it be a daytime team building event or an evening dinner and wine hour, your guests will be raving about your party for years to come! Ask us about availability now as dates are going fast!